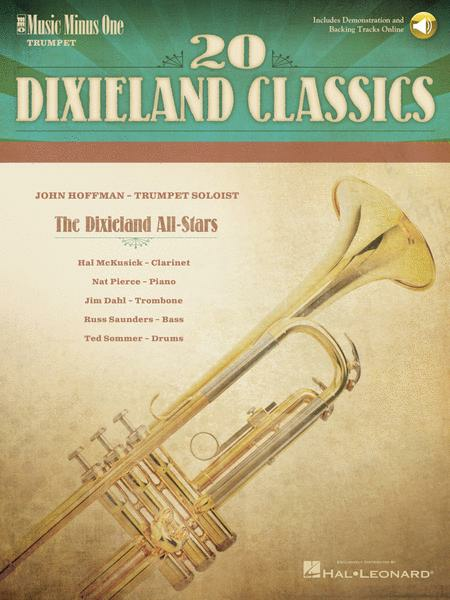 Twenty great Dixieland classics presented here in complete versions with trumpet great John Hoffman; then as backgrounds to your own performance with the Dixieland All-Stars. Contains printed music score and online audio files. Due to the improvisational nature of these compositions, two versions of each song have been provided – the first with the melody played “straight,” and the second with an improvised solo part. Those audio demos plus play-along tracks are all accessed online using the unique code inside each book and can be streamed or downloaded. The audio files include PLAYBACK+, a multi-functional audio player that allows you to slow down audio without changing pitch, set loop points, change keys, and pan left or right. Songs include: After You've Gone • Basin Street Blues • Do You Know What It Means to Miss New Orleans? • Maple Leaf Rag • Sugar Foot Stomp • When the Saints Go Marching In • Why Don't You Do Right? • and more. 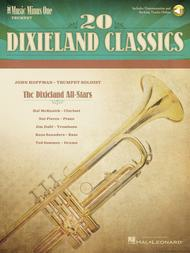 Accompaniment: Dixieland All-Stars: Nat Pierce, piano; Jim Dahl, trombone; Hal McKusick, clarinet; Russ Saunders, bass; Ted Sommer, drums. When The Saints Go Marching In Composed by Trad. February 10, 2017 Interesting ! Un bon manuel en Bb pour bien commencer le Jazz New Orleans avec accompagnement. Seul bémol: les morceaux sont très courts. Great collection! An excellent introduction to dixieland and an excellent source to work on different rhythmic patterns...while having fun. The tunes range from beginner to intermediate. version of each tune widens the experience. 28 of 60 people found this review helpful. easy to work with. I found the tuning reasonably accurate when the discs are played on my CD player.